Rocker Arms are made from Carbon Steels, Case Hardening Steels and as per specifications by Forging & Investment Casting process. Rocker Arms with chilled surface profiles are also offered. Correct hardness and heat treatment cycle with accurately machined parameters ensures trouble-free performance. Rocker Shafts of various types are made from alloy steels. 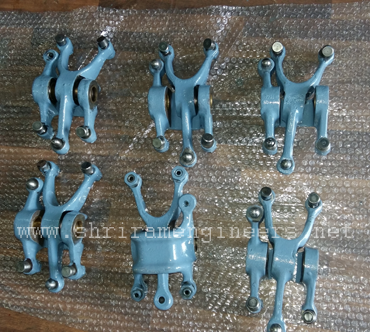 Rocker Arms are widely famous for their quality assurance, given by us. We reckoned in the markets for the manufacturing of Rocker Arms, which are featured with ensured durability and efficient functioning.